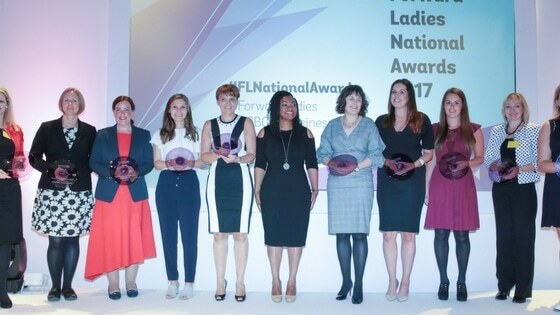 Forward Ladies has announced the winners of the National Awards for 2017, sponsored by HSBC. The Awards took place on Friday at a celebration lunch at the Crowne Plaza Hotel, Stephenson Quarter, Newcastle before an audience of senior and influential business leaders. The twelve category winners will now take part in a judging day in Manchester in November, before a distinguished panel of business leaders, where they will join finalists from regional events in the Midlands, London and the South East, and the North West, Wales and Ireland. The overall national winner will be announced at a grand finale to be held in Leeds on the 1st December. The keynote speaker was Pamela Petty, entrepreneur and board member at the Entrepreneur’s Forum. Pamela is former managing director of Ebac, and she is passionate about Great British Manufacturing, recently adding the UK’s only British manufactured washing machines to the company’s portfolio. Deborah Steane is Director of Customer Supply Chain Innovation, within Medical Devices at Johnson & Johnson. She's focused on creating value for Healthcare customers to improve efficiency, reduce costs and improve patient outcomes. Prior to J&J Deborah spent 10 years in the NHS. Dr Emma Black joined Cascade Cash Management at its inception in March 2012. Her role principally lies in managing the firm's strategic sales and technology relationships while also working closely with the client support team for the day-to-day running of the business. Emma holds a PhD in Behavioural Finance from Durham University. Leanne Silverwood is the Managing Director of Local Care Force and founded the business 13 years ago. Leanne originally worked in mental health care and could see that she could improve the industry by creating a caring agency that providing quality, trained and well-supported Nurses, Carers and Support Workers. Zillah Doyle is an Expert Senior Executive and has a proven record of delivering strategic growth in global organisations and is CEO of Mechanical Engineering Ventures. Zillah is able to manage multicultural, multidisciplinary teams to achieve competitive targets, aimed to consistently meet and exceed customer expectations. Helen Mills has over 27 years’ experience of working in the Health and Social Care Sector, and was recently appointed CEO at Age UK Northumberland. She has held 3 other CEO roles in mental health services, palliative and end of life care services. Nikki Dixon's career started at a marketing agency working with clients such as Asda. 13 years ago she joined the Local Marketing team at Asda and then moved to the Own Brand team, where her current role is Senior Manager, Own Brand Strategy. Andrea Eli is director at Ventura Office Supplies Ltd - an office products reseller for the Commercial and Education markets. Andrea has a strong work ethic and a will to succeed and hopes to champion successful women in business in 2017. Jules Quinn is MD of Popaball Ltd, a drinks company, manufacturing or packing their own products, which are then sold online and to businesses. She's expecting significant growth this year and planning to increase their current work force of 24, to 60 by the end of this year. Katie Mallinson self-confessed ‘word nerd’ and technical PR specialist, Katie Mallinson founded Scriba PR in 2013. 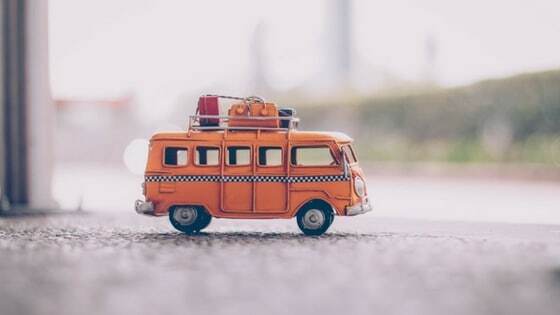 Since then, her niche public relations agency, which now boasts five employees, has focused on providing comms support to technical B2B companies, who often think their story is too complex to tell! Natasha Sayce-Zelem is the Head of Technology for Digital Trading at Sky, working out of Sky’s new Leeds Dock campus. She is an award-winning digital geek and passionate about improving diversity in the creative/tech industries. Natasha is the curator of the Technology strand at the Leeds International Festival. Tara McCully joined Carillion Plc in 2014 as a graduate Civil Engineer progressing to site engineer. She's worked in various locations on a variety of construction projects with professional employees, contractors and apprentices. She also write articles supporting females within the industry and mentor young people thinking about careers in engineering/construction. Rachel Hanretty studied English and French at St Andrews as a gateway to a year in Paris. She wrote a novel, overcame epilepsy and graduate 'under-employment', and took a bet to start making and selling macarons from scratch all on her own; Mademoiselle Macaron creates French macarons in the belief that every Mademoiselle deserves a moment of luxury.